Port of Toronto – Toronto, Ontario, Canada | World Shipping, Inc.
PortsToronto, formerly known as the Toronto Port Authority (TPA), proudly owns and operates Billy Bishop Toronto City Airport, which welcomes more than two million passengers each year; the Outer Harbour Marina, one of Canada’s largest freshwater marinas; and Terminals 51 and 52, which provide transportation, distribution, storage and container services to businesses at the Port of Toronto. 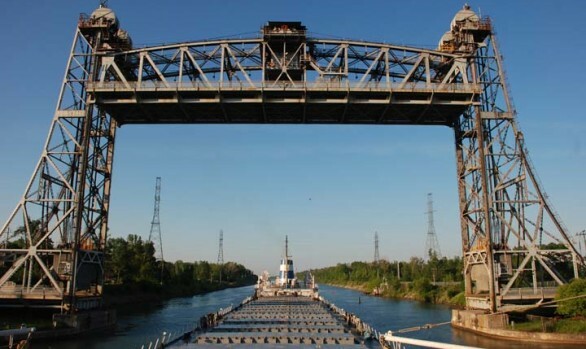 Building on its rich history of public-service, PortsToronto ensures Toronto’s Harbour is safe for boaters and visitors, and is responsible for protecting the environment in the Harbour. PortsToronto works with the surrounding community to shape a balanced, thriving and sustainable waterfront where Torontonians and visitors alike can work and enjoy for generations to come. PortsToronto connects Toronto to the world, whether it be welcoming travellers to and from Toronto through the airport, importing and exporting goods through the port, connecting the airport to the mainland through the new pedestrian tunnel, or the connection made with one’s natural surroundings at the Outer Harbour Marina or the Leslie Street Spit, which is also managed by PortsToronto.